Images can enhance the visual appeal and effectiveness of your presentations. 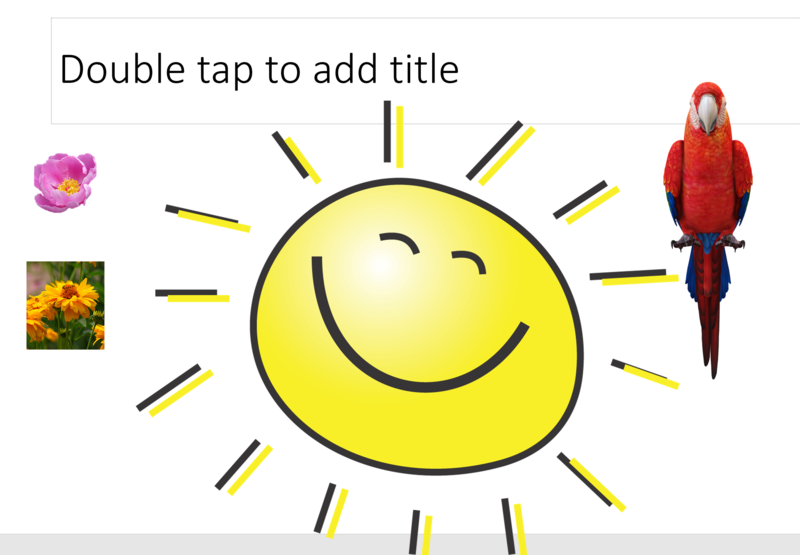 Images can be inserted using commands in the Images group of the Insert tab. 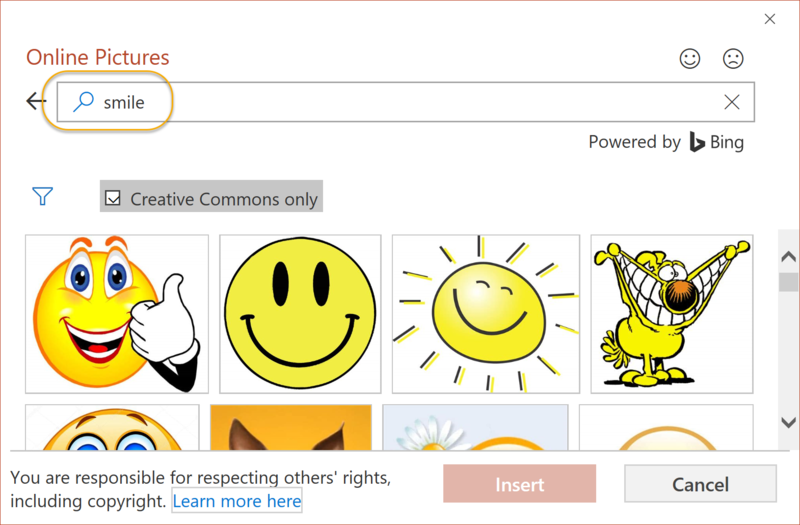 Online Pictures - Media files (images, videos, audio, and more) that Microsoft PowerPoint provides. Additional media files are available through Office.com's database. Screenshot - A screen capture of any application that is not minimized to your task bar. Photo Album - A collection of images from local files or disk. Photo albums are beyond the scope of this class, but are covered in the Microsoft PowerPoint 2019 Advanced course. Grouping images is only possible when there are multiple images on a slide. 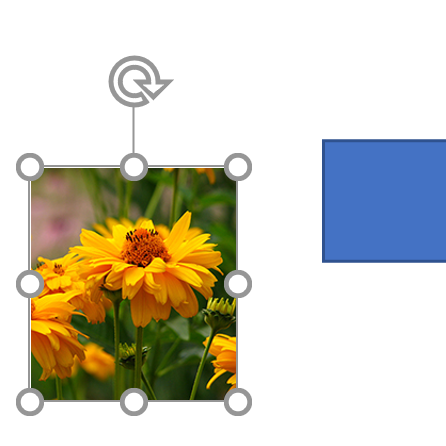 The purpose of grouping images is to treat multiple images (including shapes) as a single object. Press and hold the Ctrl key while selecting images with your mouse. Right-click and select Group > Group from the context menu. After images are grouped, they are treated as a single image. Notice that a single sizing box surrounds all images in the group. Select the grouped object that you want to ungroup. One sizing box surrounds the grouped object/image. Right-click the grouped object and select Group > Ungroup. Sizing boxes now appear around each image. From the Picture Tools Format tab, from the Adjust group, click Remove Background. 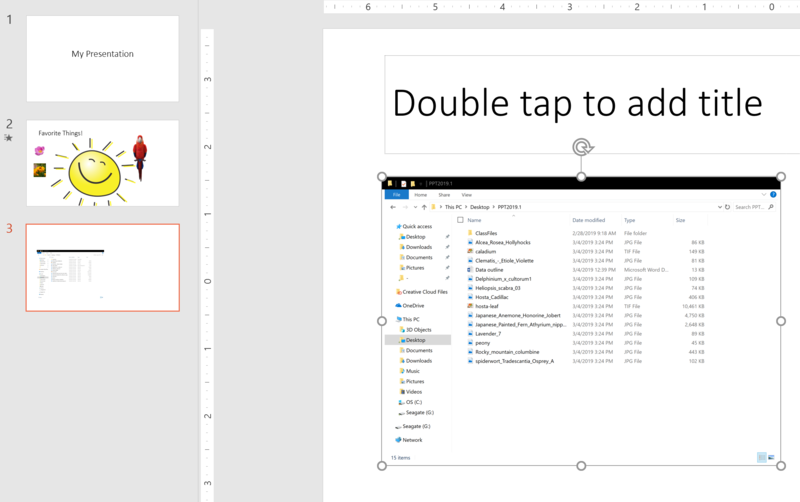 PowerPoint shows how a preview of how background will be removed. Select Keep Changes to keep the changes or Discard All Changes to reject the change. You can also adjust the removal by selecting an option in the Refine group. 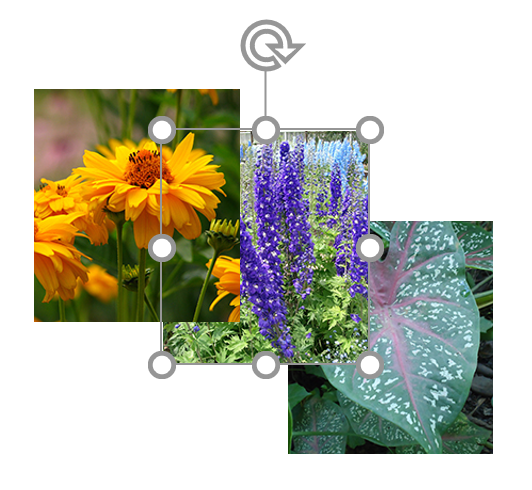 If images on a slide overlap, you can control which image is visible in the overlapping regions. Select the image to bring forward. Handles around the object confirm that it is selected. Right-click and then select Bring to Front > Bring Forward. Select the image to send backward. 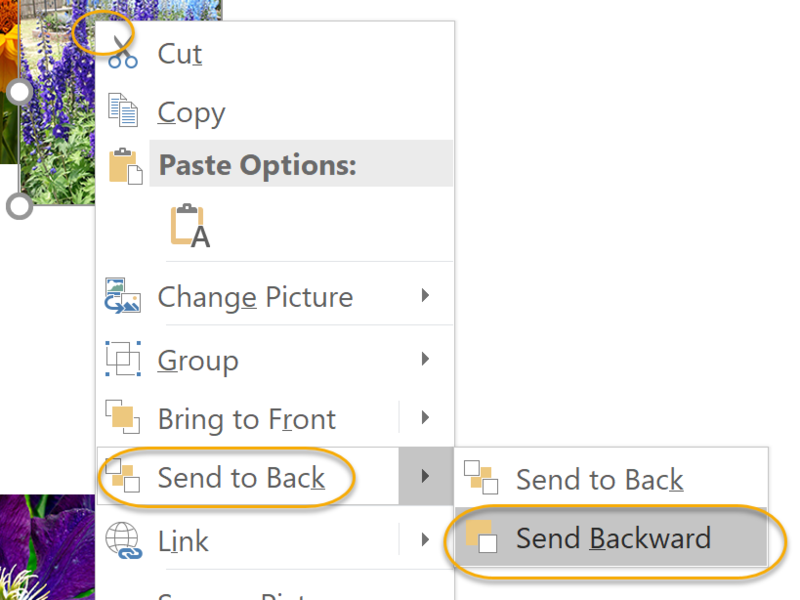 Right-click and then click Send to Back > Send Backward. Note: There are additional sub-commands of Bring to Front and Send to Back that let you move an image to the very front or very back when working with multiple images on a slide. These commands are available on the Picture Tools Format tab in the Arrange group. Bring to Front > Bring Forward - Moves an object one level at a time to the foreground. Bring to Front > Bring to Front - Moves an object in front of all other objects. 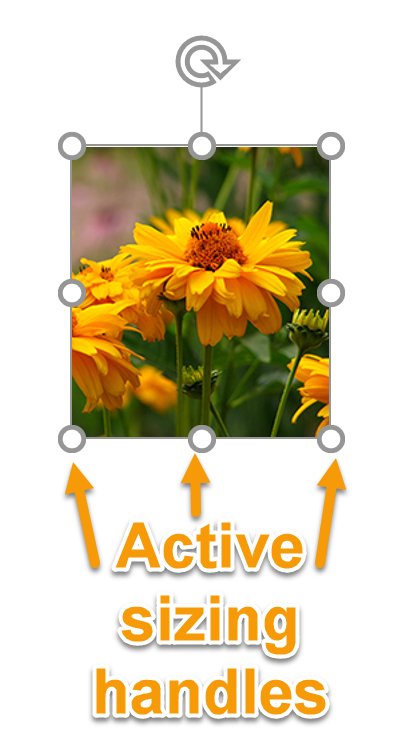 Send to Back > Send Backward - Moves an object one level at a time to the background. Send to Back > Send to Back - Moves an object behind all other objects. These actions can be repeated more than once depending on how many images and levels you need to arrange. Shapes, such as lines, rectangles, block arrows, flowchart objects, and callouts, can enhance your presentations in a variety of ways. 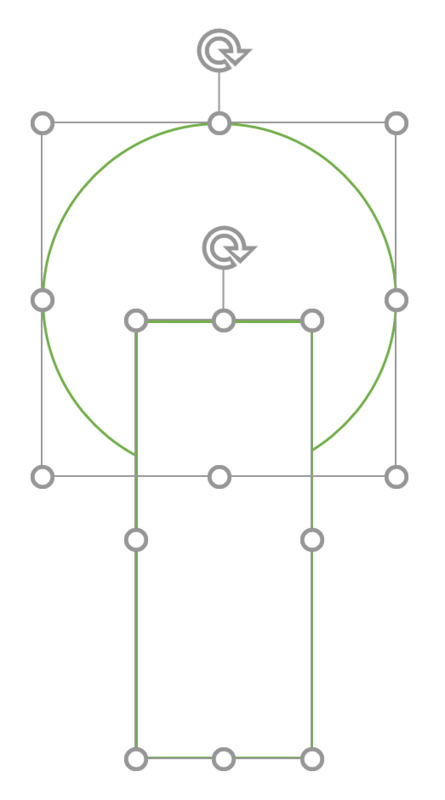 On the Insert tab, in the Illustrations group, click Shapes to open the shapes gallery. 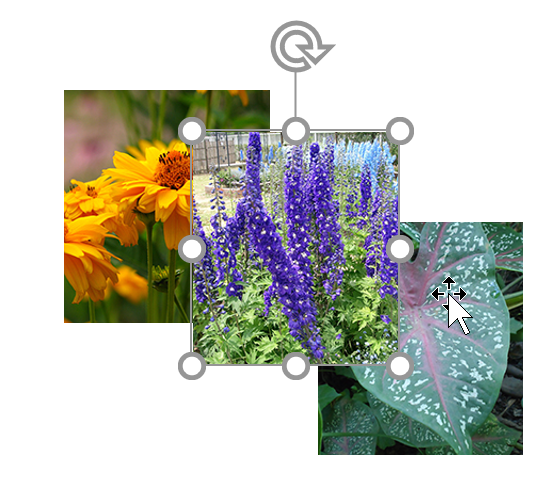 From the gallery, select the type of shape to add to your slide. Your cursor changes to a + sign. 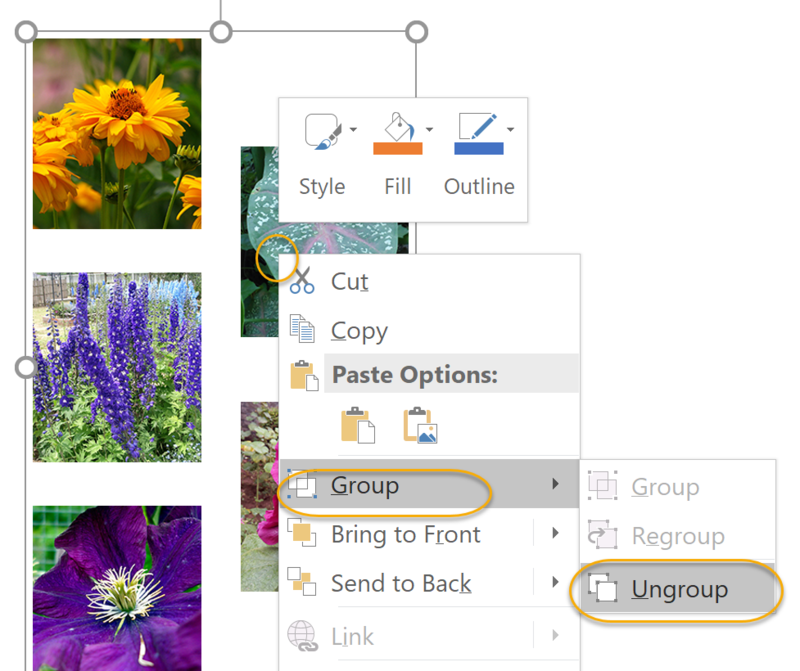 Click and drag to define the region on your slide where you want to insert the shape. Release the mouse button to add the shape to the slide. 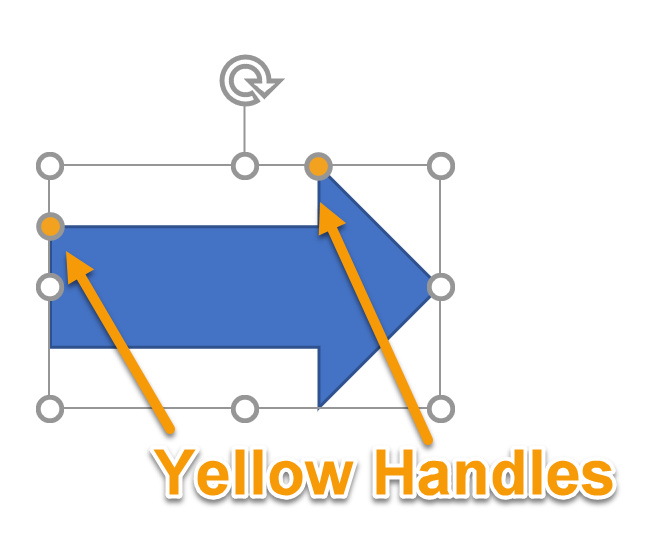 Notice the additional yellow handles on and/or near the sizing box. These allow you to further modify the shape. 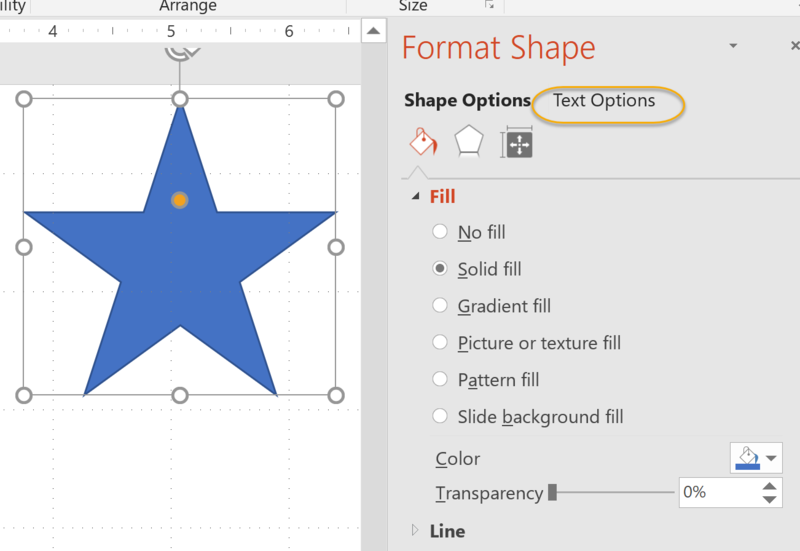 To add borers to a shape, after it is inserted, select it and then from the Drawing Tools Format tab, in the Shape Styles group, select Shape Outline and use these options to add and format a border. 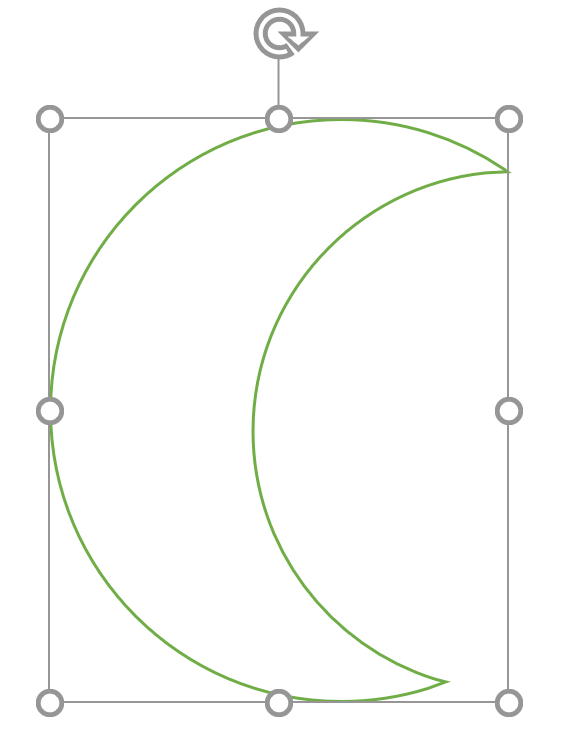 You can change the background of a shape. 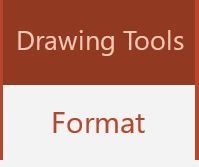 Select the Drawing Tools Format tab. In the Shape Styles group, select Shape Fill. 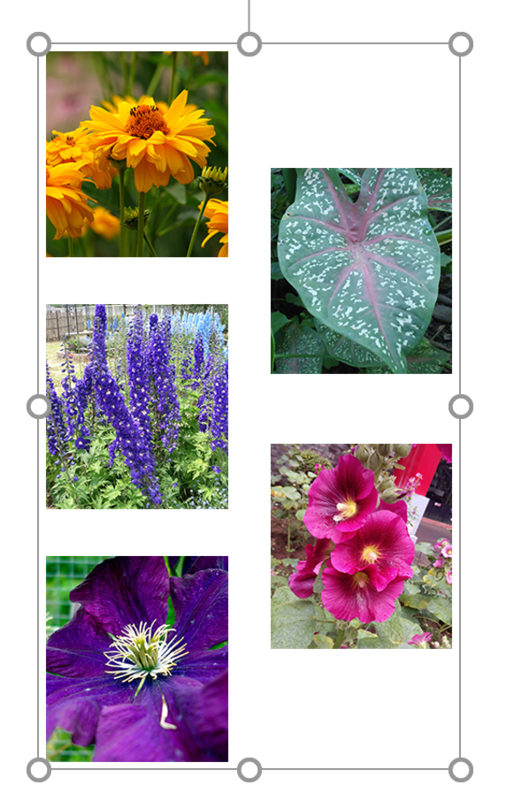 Select a color from the drop-down list, or another option, such as adding a picture or texture. 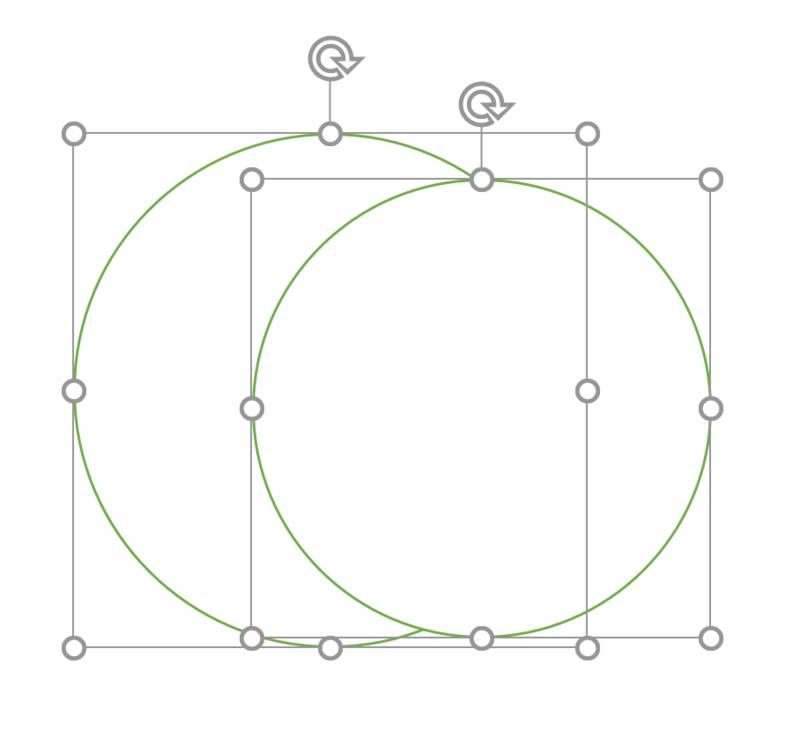 When adding multiple shapes, you may want to align them and/or group them. 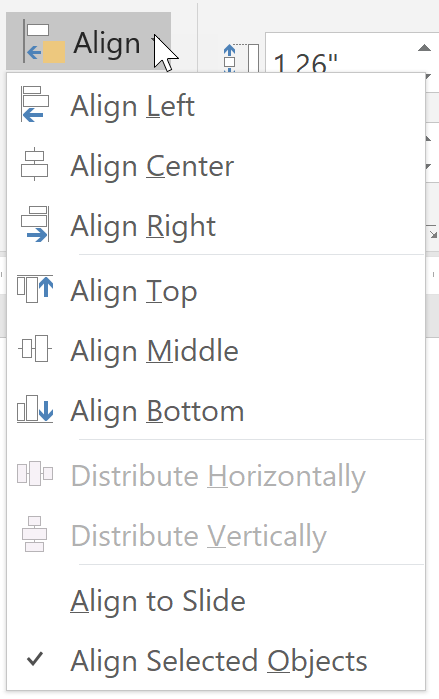 From the Drawing Tools Format tab, from the Arrange group, select Align. Select an alignment option from the drop-down list. 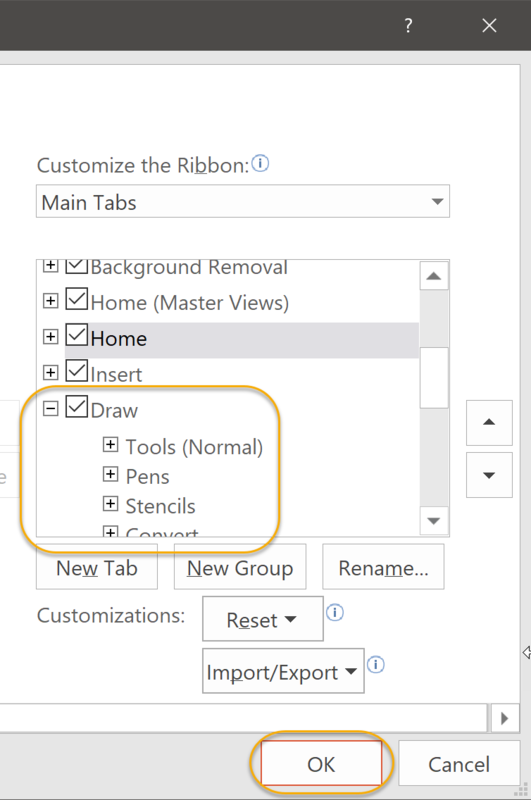 From the Drawing Tools Format tab, from the Arrange group, select Group. 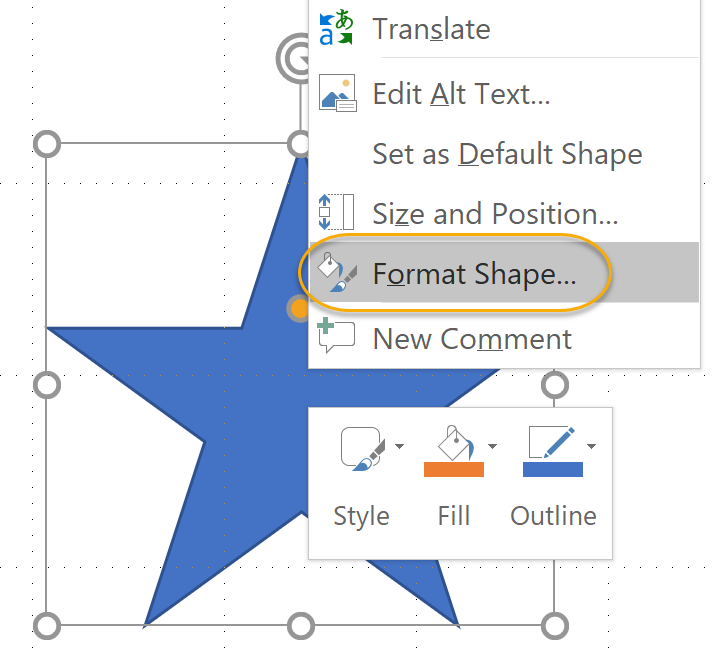 PowerPoint 2016 and 2019 allow you to create custom shapes by merging them. To unite shapes, select the shapes you wish to join. 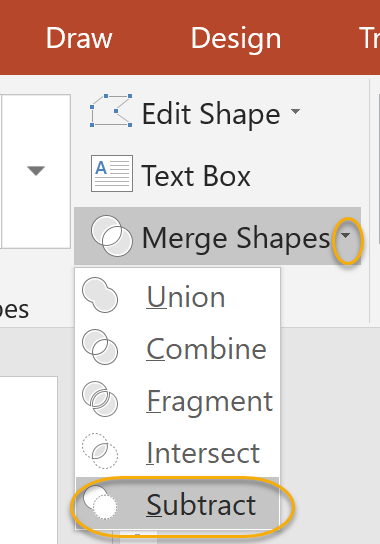 Select the Drawing Tools Format tab, and in the Insert Shapes group, click on Merge Shapes and choose Union. The shapes have now been combined as one shape. To subtract one shape from another, select the shapes. 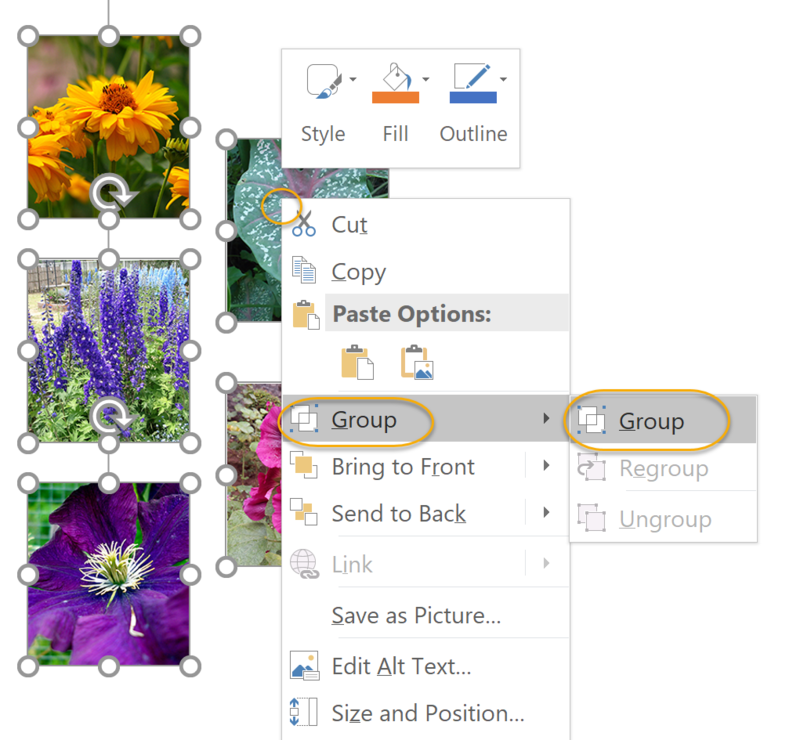 Select the Drawing Tools Format tab, and in the Insert Shapes group, click on Merge Shapes and choose Subtract. One shape has now been subtracted from the other. 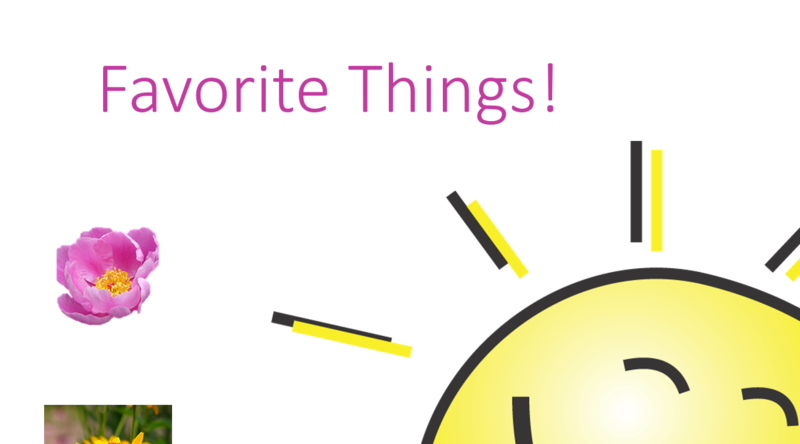 Smart Guides make it easier to line up items in your slideshows. Select the item you want to align. 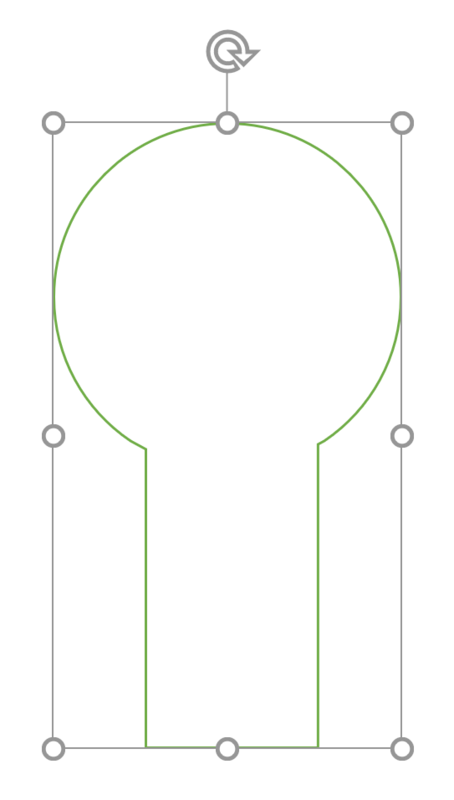 Notice the dashed lines that are displayed, showing alignment. The lines will change as you move the object to show various alignment options. 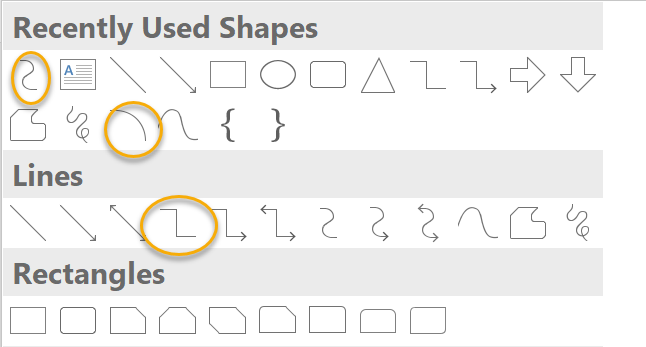 To add styles to a shape, after it is inserted, select it and then from the Drawing Tools Format tab, in the Shape Styles group, use the options to add styles to your shape. 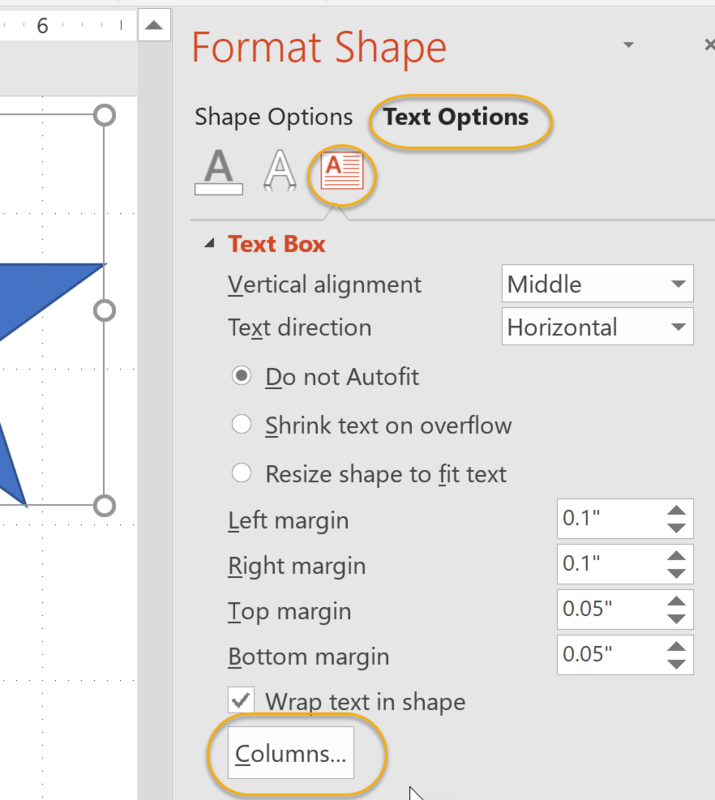 Certain shape options in PowerPoint allow you to customize the shape you insert. for example, the curved connector, curve, and elbow arrow connector. 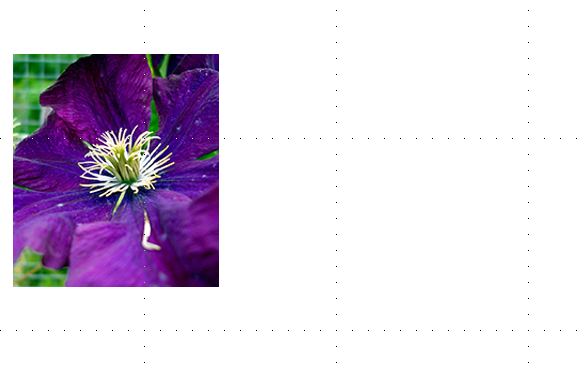 When working with shapes, it may be useful to view gridlines while working in PowerPoint, in order to align your shapes. From the Show group, select Gridlines. Gridlines now display on your slides. 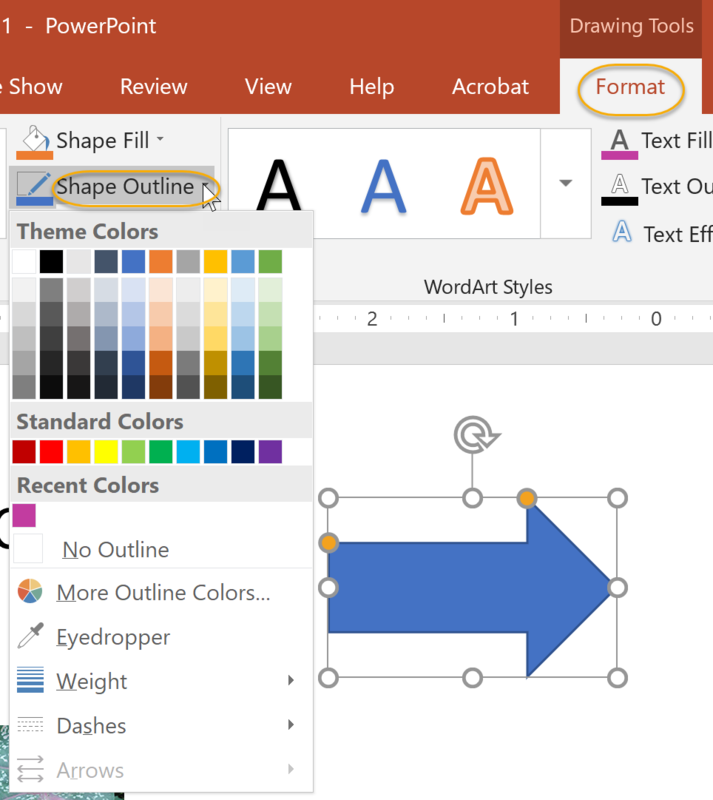 Once you have inserted a shape, you can add text to it and format it into columns. Select the shape and type the text, and then right-click it and select Format Shape. In the Format Shape pane on the right, select Text Options. Select Textbox and then select Columns. 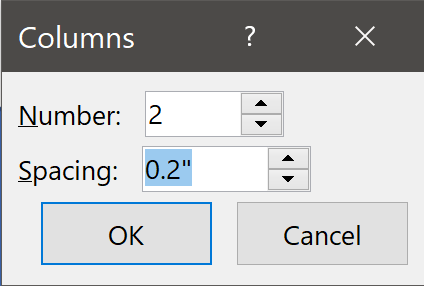 In the Columns dialog box, set a number of columns and click OK.
From the File menu tab, click Options. On the left, click Customize Ribbon. From the Main Tabs list, select the Draw check box. You can use the options available on this tab to create ink effects, erase them, and so on. Clip Art is a collection of media files (images, videos, audio, and animation files) that Microsoft includes with the PowerPoint application. If your computer has an Internet connection, then you can also access Bing.com to search for images. By default, all media file types are included in the search. 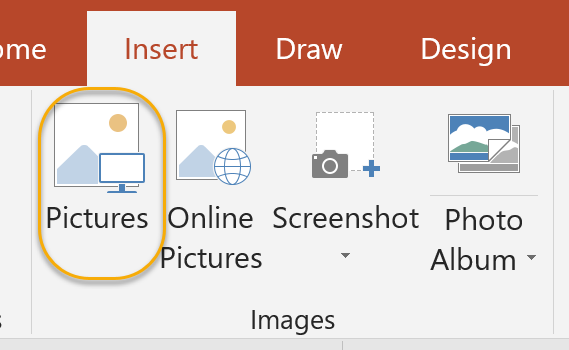 In the Online Pictures dialog box (Clip Art task pane in PowerPoint 2010), enter your search terms and press Enter. Right-click and select Change Picture... from the context menu, and select an option from the drop-down list. In the Insert Pictures dialog box, navigate to the folder that contains the picture, select it, and click Open. Select the image on your slide. Press Delete. The image is removed from the slide. Follow the instructions in the "Inserting Clip Art" section above. The Eyedropper tool allows you to capture custom color from inserted pictures, such as logos. Previously, you would need to get the color settings from an image editing program. Select the text you wish to apply color to. 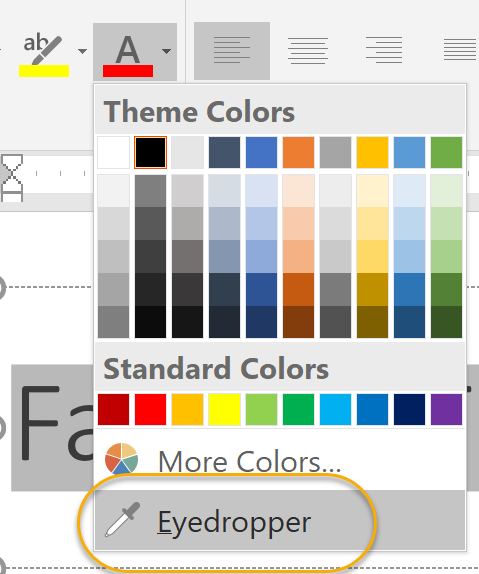 Select the Home tab, and in the Font group, click Font Color button and choose the Eyedropper. 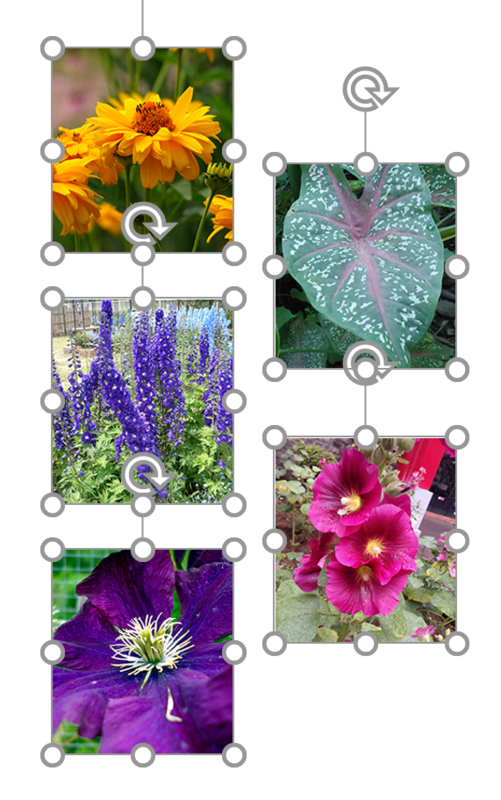 Go to the picture on the slide you wish to sample color from, hover over the desired color, then click when you see the color preview appear. The sampled color is now applied to the text. 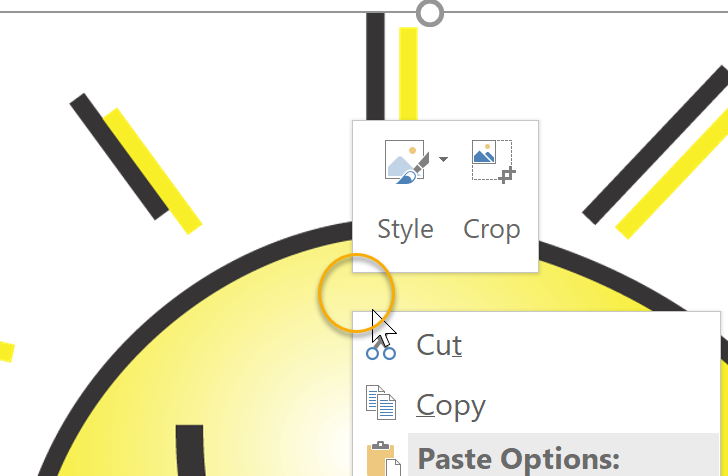 Select an option to apply a style or crop the image. Watch and follow along as your instructor shows you how to apply a style to and crop an image. 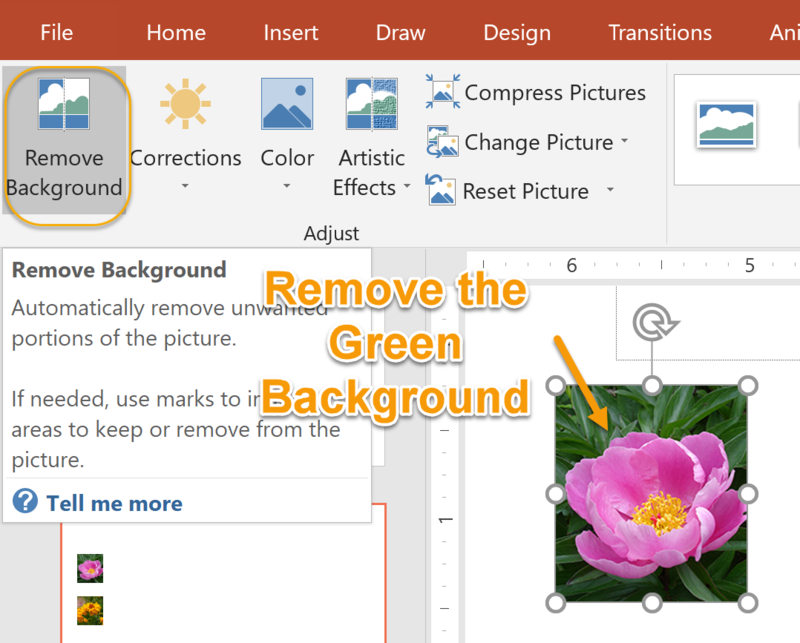 Microsoft PowerPoint provides several tools for enhancing and formatting your images. These tools are located in the Picture Tools Format tab. This tab is only available when an image on your slide is selected. You can add effects to enhance a PowerPoint image. 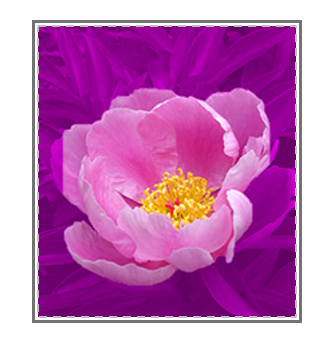 With the image selected, from the Picture Tools Format tab, in the Picture Styles group, select Picture Effects. You can capture a screenshot of any application window that is not minimized to your task bar and insert it in a slide. 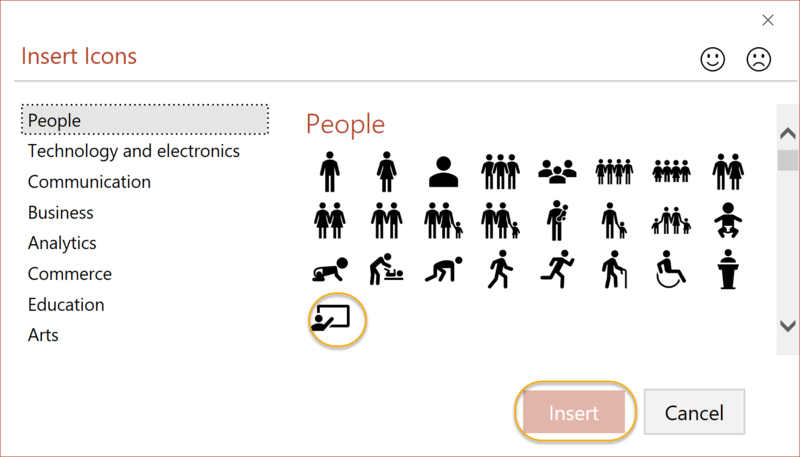 New in PowerPoint 2019 is the ability to insert Scalable Vector Graphics (SVGs), or icons. To do so, from the Insert tab in the Illustrations group, select Icons. 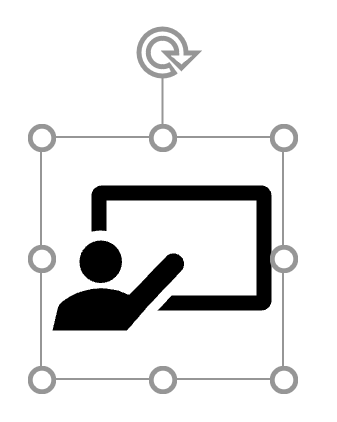 The icon is now inserted into your presentation. You can click and drag to move it or rotate it. 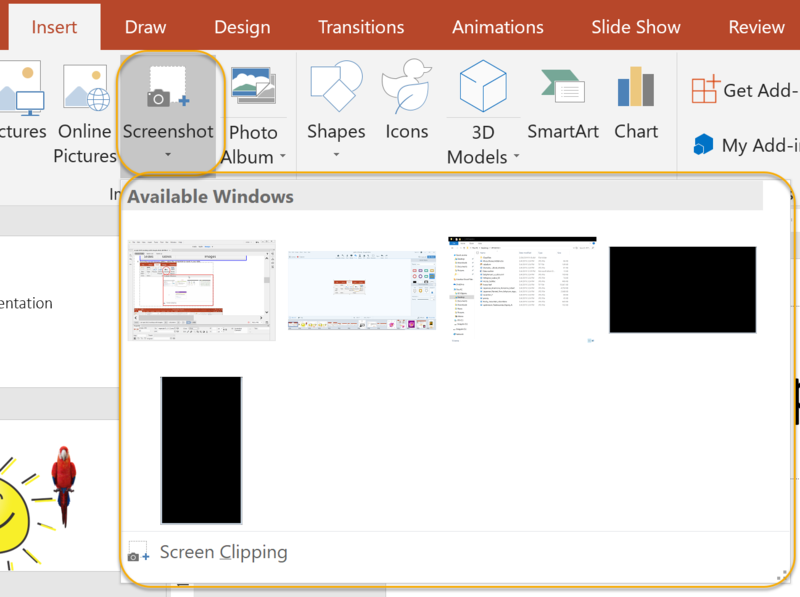 Yet another new feature of PowerPoint 2019 are 3D models. You can use these to rotate and view all their angles. This option is available in the Illustrations group. When you insert and select the 3D model, the 3D Models Format Tools tab will appear on the Ribbon. This tab contains groups and commands you can use to modify your 3D model. You can adjust the size and arrangement of the model, as well as use the 3D Model Views group to modify how the model appears. You can add animations to 3D models. After the image is inserted, select the Animations tab and from the Animation group, select an animation style. In this exercise, you will be using the file named "My Format" that you created in a previous exercise. 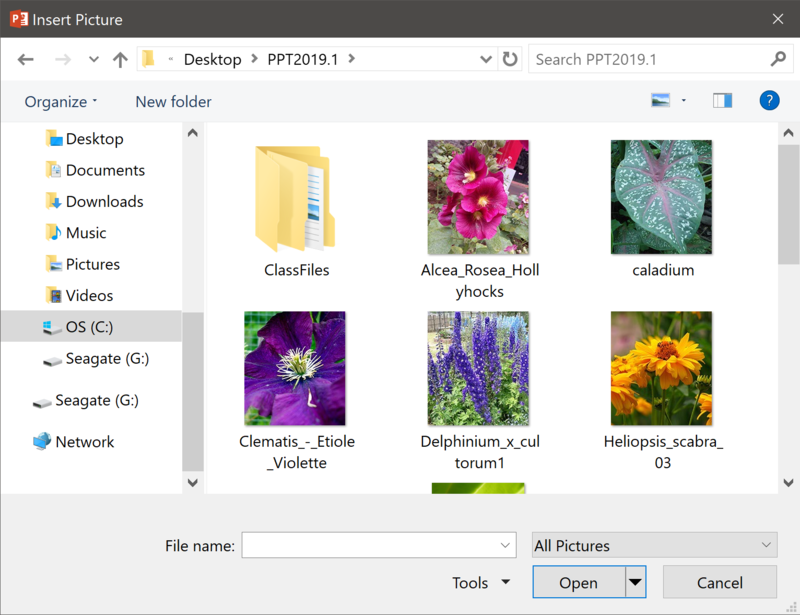 Open the file "My Format" from the Webucator/PowerPoint2019.1/Exercises folder. 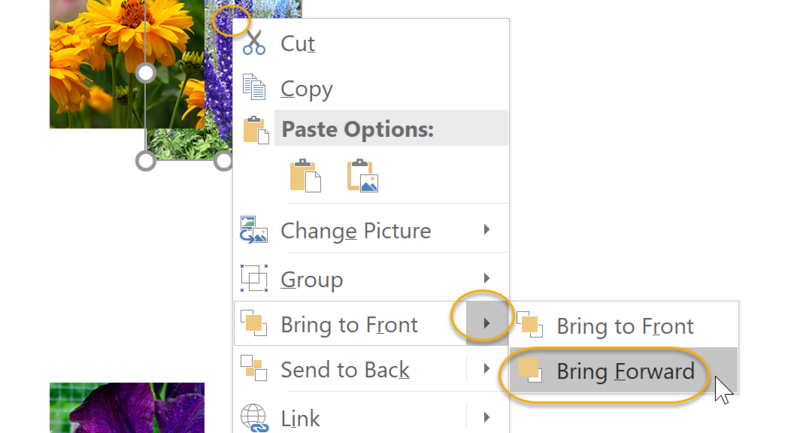 Save the file as "Using Images" to the Webucator/PowerPoint2019.1/Exercises folder. Insert a blank slide into the second position (immediately after the title slide). Insert two images that relate to sales on the blank slide. Insert a right-pointing block arrow between the two clip art images. Insert a blank slide into the second position. Ensure that the title slide is selected in the Slides tab. On the Home tab, select New Slide, then click Blank. Insert two images that have to do with sales on the blank slide. 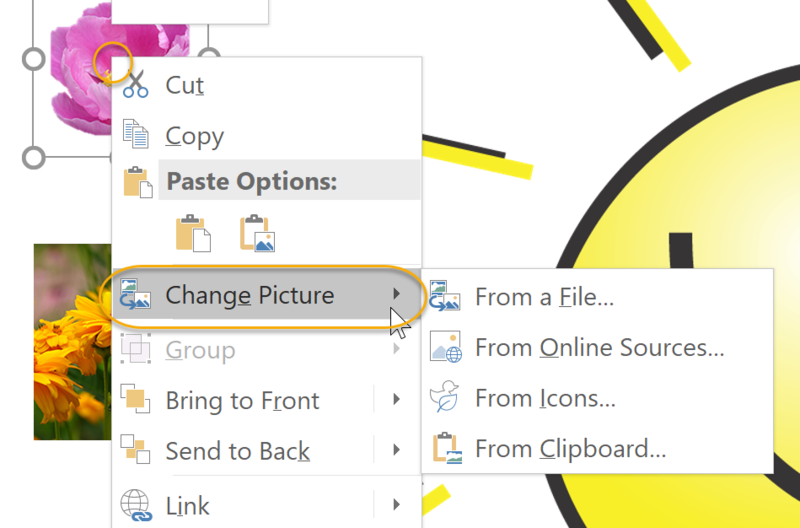 On the Insert tab, in the Images group, click Online Pictures (Clip Art in PowerPoint 2010). In the Insert Pictures dialog box (Clip Art task pane in PowerPoint 2010), enter "sales" in the search field and press Enter. Choose an image and insert it in the current slide. Click on Pictures in the Insert tab, select an image from your computer, and insert it. Insert a right-pointing block arrow between the two images. Arrange the images horizontally so that there is space between them. 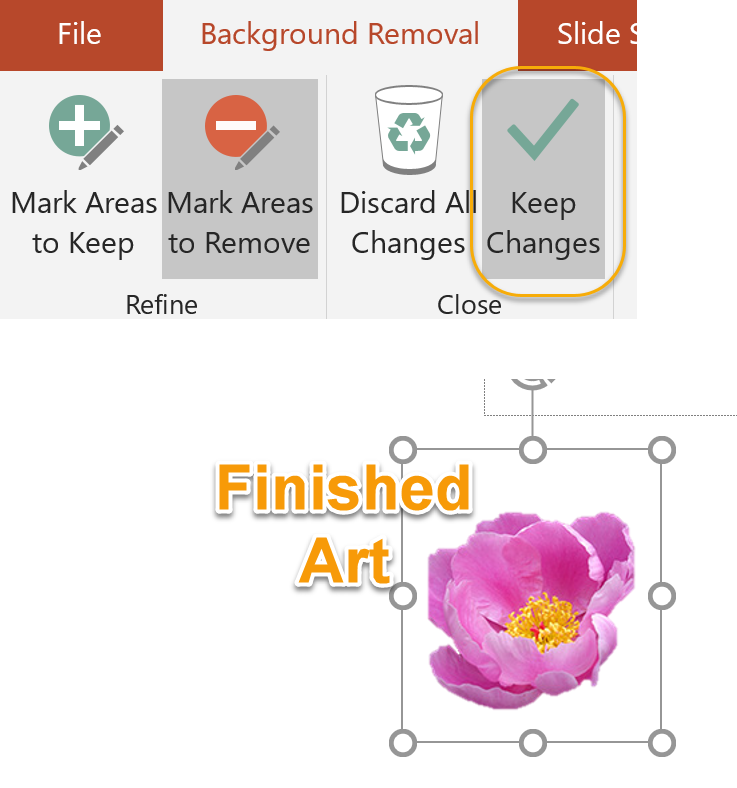 On the Insert tab, in the Illustrations group, click Shapes and select the right-pointing block arrow from the shape gallery. Click and drag your mouse to insert the arrow at the desired location on the slide. Resize the arrow as needed. Organize the images and arrow on the slide by using the resizing and arranging tools as necessary. Save your file for future use.